Recessed: Ceiling thickness is suggested to be 2-20mm. Cut out dimension for Cetus Mini 2C are Dia.75/100/150mm; for Cetus Mini 2C GB are 75x75/95x95/190x95/275x95mm based on different size of product; Push the mounting bracket on the Cetus Mini 2C and simply put the product into the cutting hole for easy installation. 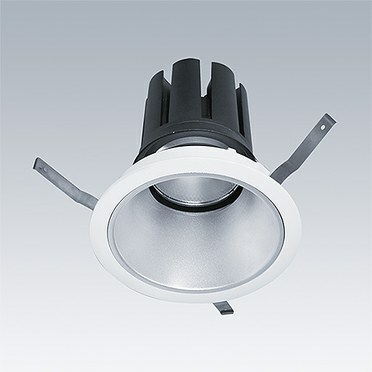 Recessed mounted LED downlight optimised for efficient, energy saving high-output general lighting in retail and interior applications; passive cooling thanks to innovative thermal design with remoted LED driver; Colour rendering Ra > 80; colour temperature 3000K and 4000K, 3 different beam angles 15D, 24D, 38D; Chromaticity tolerance (initial MacAdam): 3; exeptional long lifetime performance Ta25° up to 50.000h for luminous flux at L70 of initial value; mains voltage: 220-240V/ 50/60Hz.